Alanna Demetrius | The Phoenix The new fraternity and sorority will offer additional options for students interested in Greek Life. Loyola students will have more choices within the Greek Life community following the establishment of two new organizations. The new sorority, Kappa Delta, and the new fraternity, Pi Kappa Phi, are recruiting this fall for each of their founding classes, according to Troy Stephens Jr., coordinator for sorority and fraternity life programming at Loyola. Kappa Delta will be the university’s seventh sorority within the Panhellenic Council, and Pi Kappa Phi will be one of five fraternities on campus within the Interfraternity Council, according to Stephens. 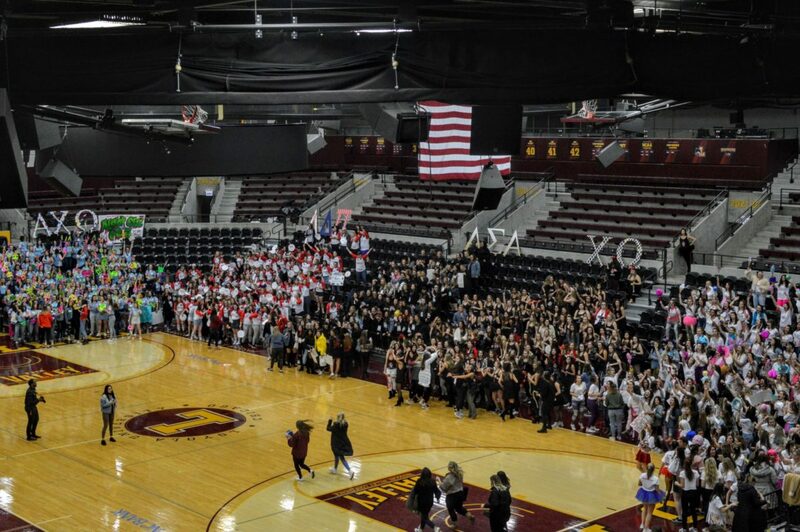 According to Student Activities and Greek Affairs (SAGA), all of Loyola’s sororities and fraternities are student-led by the Panhellenic Council, Interfraternity Council and Multicultural Greek Council. There’ll be a total of twenty on campus sororities and fraternities between the Panhellenic Council, Interfraternity Council and Multicultural Greek Council, according to Stephens. Stephens said a main reason the university added a new sorority and fraternity was to accommodate Loyola’s increasing student population. 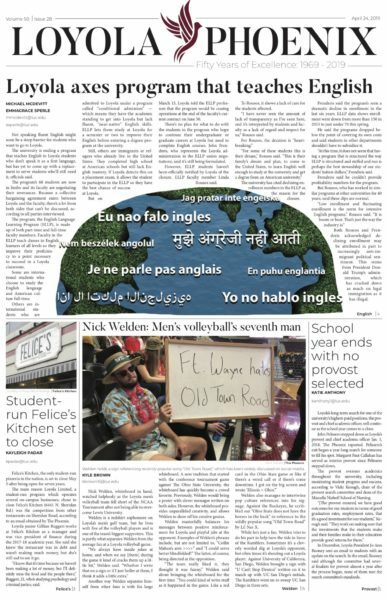 The university has had growing class sizes in recent years with the current first-year class having just under 3,000 students, according to Stephens. According to SAGA, 15 percent of Loyola students are in a sorority or fraternity on campus. Each sorority has about 200 members, and fraternities have around 80 members, according to Stephens. Stephens said the Panhellenic Council made the decision to incorporate Kappa Delta into the Loyola community. Maria Carlson, 20, member of Kappa Kappa Gamma at Loyola, said Kappa Delta visited campus last spring and talked with Loyola sororities about their new chapter. Carlson said the overall theme of Kappa Delta is confidence. Ryan Murphy, leadership development consultant of Kappa Delta nationwide, and Lilly Couch, president of the Panhellenic Council at Loyola, didn’t respond to The Phoenix’s request for comment. Conner Burk, director of expansion and growth for Pi Kappa Phi nationwide, said Pi Kappa Phi is excited to start a chapter at Loyola because the university aligns with the goals of the fraternity. According to Burk, Pi Kappa Phi founded its own philanthropy in 1977, called the Ability Experience, which was created to serve people with physical and mental disabilities. 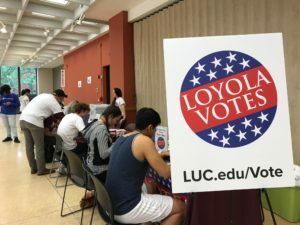 Samuel Torrence, president of the Interfraternity Council at Loyola, said he’s open to a new fraternity on campus because it could expand Greek Life, which positively impacts the Loyola community as a whole. Torrence said the recruitment process is important because although Pi Kappa Phi has a national presence, every chapter is different among universities. “Pi Kappa Phi will start recruiting active leaders in the community, so generally what happens when a new fraternity comes on campus is they look for mainly juniors and sophomores and seniors to build a chapter of leaders on campus,” Torrence said. Danny Hawkins, member of Delta Sigma Phi at Loyola, said he supports more choices for students within Greek Life. According to Stephens, Kappa Delta’s official recruitment weekend is Sept. 28-30, and Pi Kappa Phi representatives will arrive on campus Sept. 23.